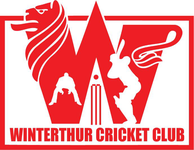 On Thursday 18th August coaches & players of Winterthur Cricket Club assisted Cricket Switzerland to instruct 80 employees of the Swiss marketing agency JvM in a four hour cricketing experience at Klopstockwiese in Zurich. 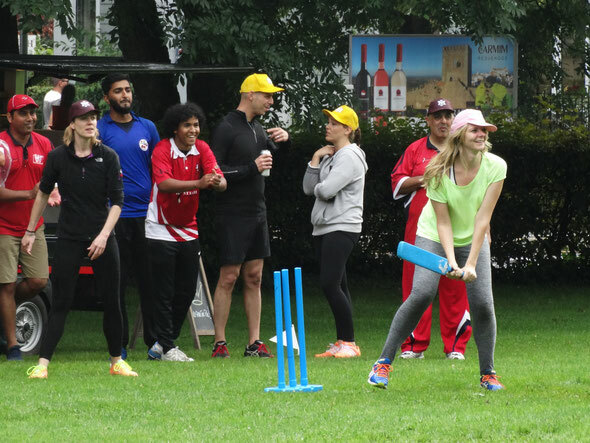 After a fine British lunch experience with the Swiss Pie Company, washed down with Brown Ale, Ginger Beer and Scrumpy, 80 participants from JvM Group were split into six groups, each with an experienced cricket coach and cricket player, to teach & practice some basic cricket skills (catching, throwing & batting) before putting those skills into practice in a six-team Kwik Cricket competition. Osama (Power), Alex, John, Jiten, Tom, Prafull, Chris (Winterthur), Patrick, Nic (Zurich Crickets), Veena (Sapphires) all had an equally good time and were equally drenched by all the rainfall by the end of the day. They are all to be congratulated in making this happen and, despiute the terrible weather, for carrying out such a marvelous job. 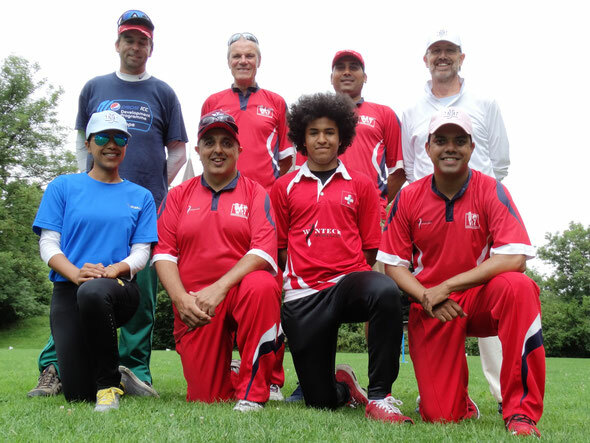 They were all instrumental in assisting Cricket Switzerland deliver this event. 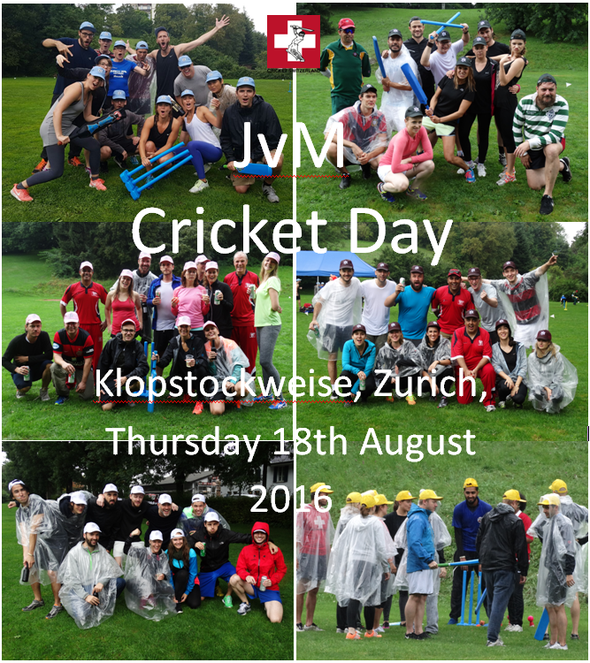 For more information about the JvM Cricket Day please refer to the article on the Cricket Switzerland website. 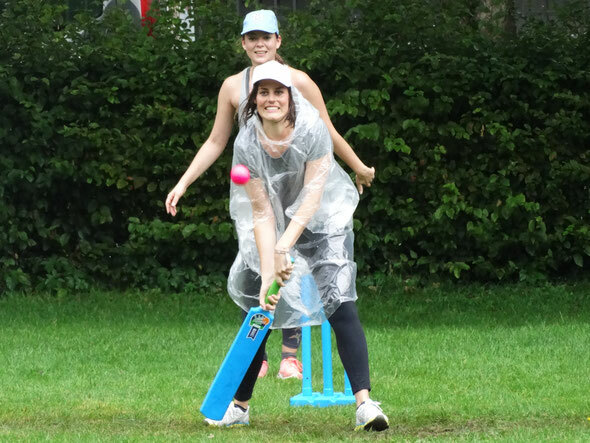 There you will also find all the photos of the JvM Cricket Day.